City government sustainability leaders play an important role in creating local markets that actively incorporate energy efficiency—and more specifically, energy-efficient buildings—to reap an array of economic, environmental, and social benefits, from job creation to reduced pollution and better air quality to lower utility bills. One mechanism to encourage this is the adoption of building performance reporting laws—otherwise known as benchmarking and transparency policies—that require the reporting and publication of annual building energy and water use data. These programs collect a wealth of information that can drive smarter business decisions, track return on investment, and increase energy savings. To date, 24 cities, two states, and one county have benchmarking policies in place for their commercial and multifamily sectors, but the wealth of data cities are gathering through these programs is not being used to its full potential. While publishing the benchmarking data in a spreadsheet, as many cities do, accomplishes the goal of releasing the information publicly, it may not accomplish the underlying objective of having the information be incorporated into market decisions. This is because large, data-heavy spreadsheets are often complex and not easily understood, and this is typically not of interest to those outside the building energy efficiency community. However, in some pioneering cities such as the District of Columbia and New York City—jurisdictions that were the first and third cities nationally to pass mandatory private-sector benchmarking policies—there are many lessons to be learned about how this data can be actively put to use to drive action on efficiency. How do we know? 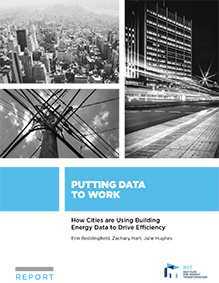 IMT recently released Putting Data to Work: How Cities are Using Building Energy Data to Drive Efficiency, a report that examines how the District and New York, as well as a handful of other leading cities, are putting their energy policy data to use. The report, and the larger Putting Data to Work toolkit it anchors, draws from three years of work with New York and the District, along with their partners, New York Energy Efficiency Corporation (NYCEEC) and the District of Columbia Sustainable Energy Utility (DCSEU), to understand how, exactly, cities and their partners can better use benchmarking performance data to generate positive returns. Motivate action on efficiency. Cities can act as the conduit for energy policy data, publishing it in easily understandable formats through public websites and visualization platforms, and directing building owners to clear next steps to efficiency improvements through energy scorecards. Many cities provide map-based visualizations (such as DC’s, pictured below), and several—including Chicago, Philadelphia and Seattle—provide scorecards to individual building decision makers that show a building’s relative performance and outline next steps to improve efficiency. Refine marketing and outreach strategies. Cities can proactively identify buildings that may have significant opportunities for efficiency improvements, and act as an objective adviser to identify project ideas and connect building owners with vetted contractors and financers. New York City’s Retrofit Accelerator program is an example of a city taking the lead on pushing energy efficiency retrofits forward. Through November 2017, the program had initiated or completed projects in almost 2,000 buildings, with projects in over 3,000 additional buildings engaged in the pipeline. 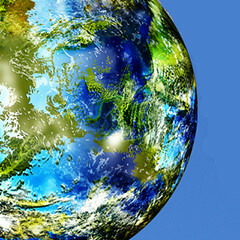 If all of these projects are implemented, they could reduce annual GHG emissions by nearly 153,600 metric tons of carbon dioxide equivalent, the equivalent of taking almost 33,000 cars off of the road for a year. The District and New York are proving that accelerating investment does not require large sums of cash to be paid out in incentives; there is much to be gained simply by using benchmarking and audit data to target outreach and communications. 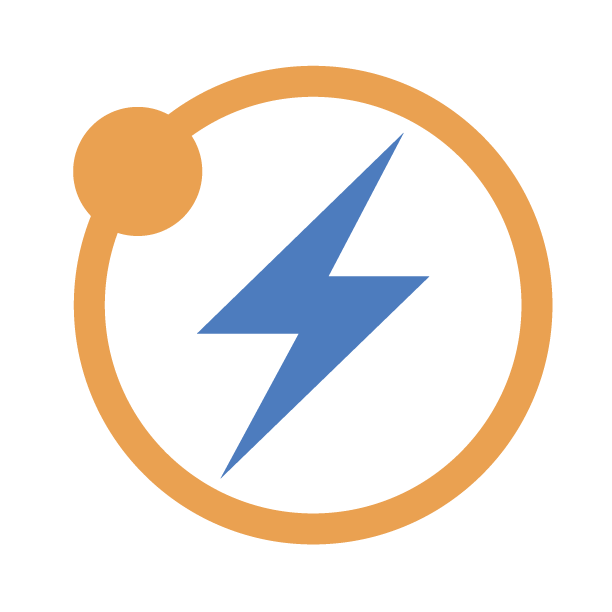 What’s more, the U.S. Department of Energy, a co-funder of Putting Data to Work, offers an array of unbiased tools that are designed specifically to help cities manage and publish performance data. Building energy policy data has the potential to create fresh dialogue between new stakeholders, igniting powerful connections that result in energy upgrades and—in aggregate—build a privately sustainable retrofit market where energy efficiency is business-as-usual. Want to learn more? Download the full Putting Data to Work report today. This blog is the second in an ongoing series exploring the findings of IMT’s Putting Data to Work project, a three-year effort to explore how cities and their partners can better deploy building performance data to drive action on energy efficiency in buildings in their jurisdiction. For more information, visit imt.org/PuttingDatatoWork.